Two more servicemen were wounded. A deminer of the State Emergencies Service was killed and two more servicemen were wounded in the grey area of Donbas this morning, the press service of the service has said. 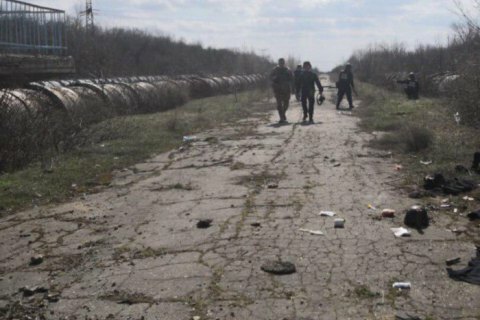 An unidentified explosive went off at around 10.30 a.m. as they were examining and clearing the area near a pipeline at the Siverskyy Donets-Donbas pumping station near Zaytseve. The head of the Donetsk military-civil regional administration, Oleksandr Kuts, said the wounded miners were evacuated and provided with necessary medical assistance. A criminal case was opened over a terrorist act.